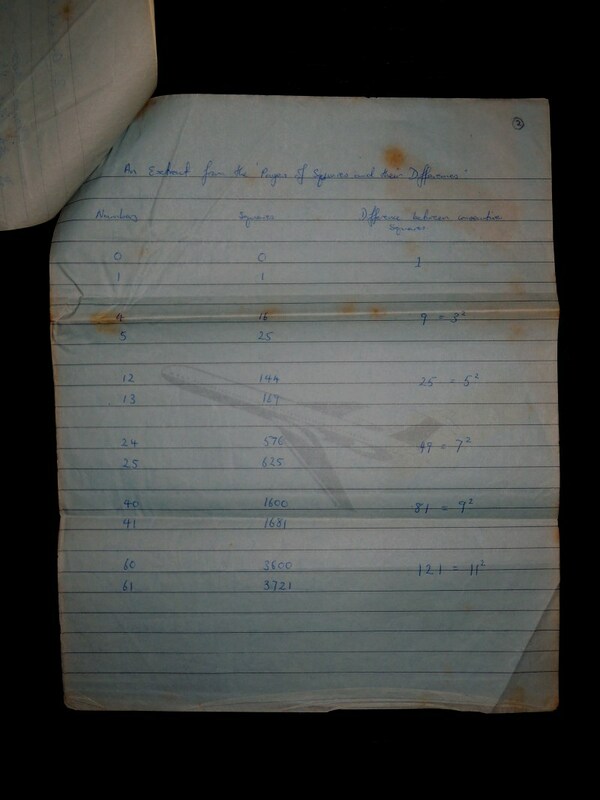 I was 16 years of age, when I had just finished my Form 6 exams (HSC), during the holidays I invented an alternative set of formulae for Pythagoras Theorem. I did not know how to get my paper published so my dad, Dr. M. Balasundram, the Radiologist at Seremban General Hospital wrote to several universities to have my paper published. I remember that the two Chinese professors at University of Malays had written back to ask me to have my paper translated into Malay. I am searching for that letter and when I find it I will publish it in this article. 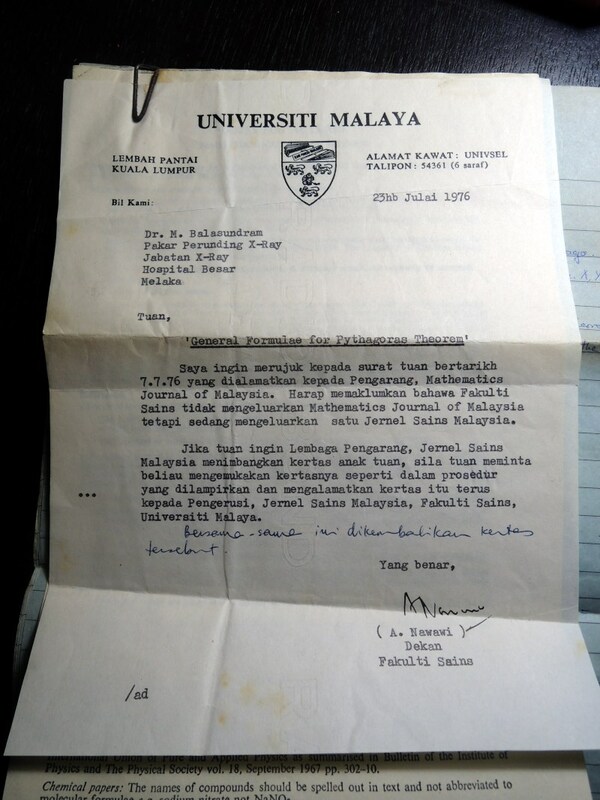 I do not know why they had asked me to translate the paper into Malay language as our medium of education was in English, those days, so I had very little knowledge of Malay and I could not translate the paper. Finally, looking back at events 44 years ago I believe they did not want me to publish the paper. 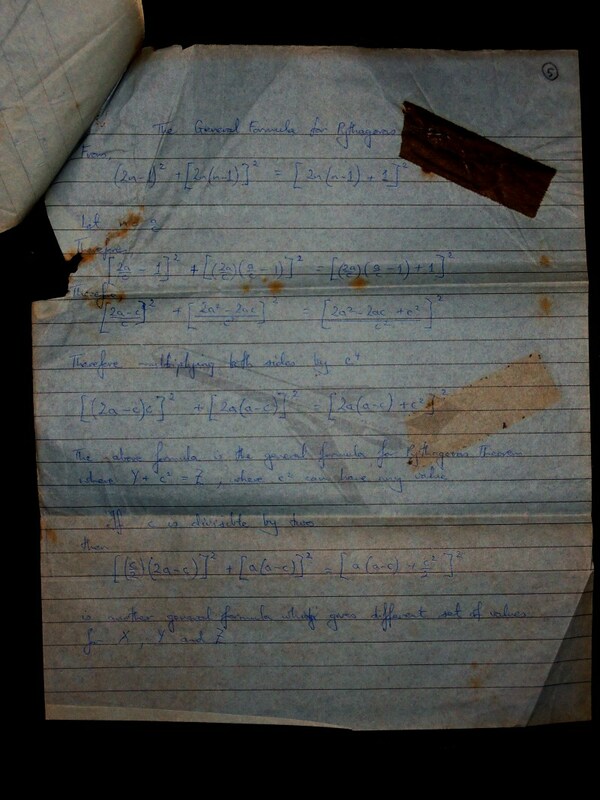 I could not prove Fermat's Last Theorem and my dad misundertood or mistyped the letter above - a third party was typing out the letters as we did not know how to type. 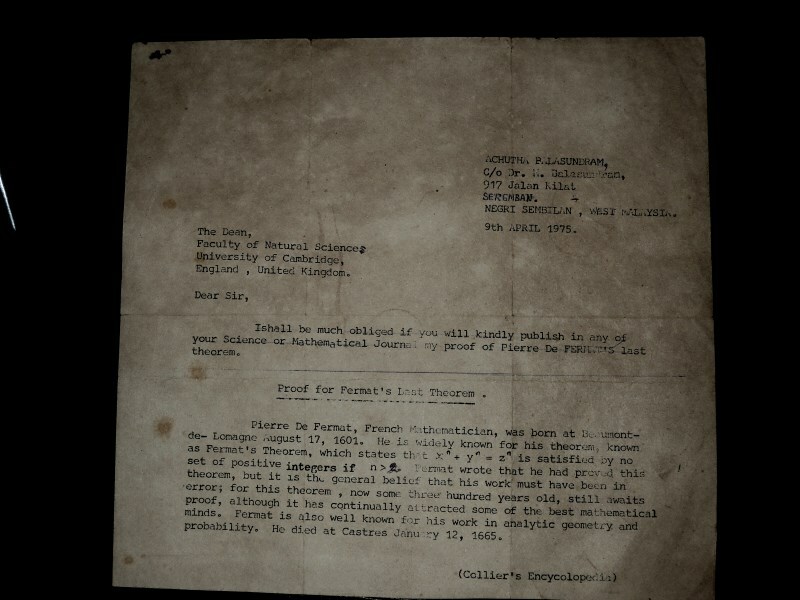 I corrected it but I have not found the copy of the original letter sent to Cambridge University. That is why this draft version is shown. When I do find the copy of the letter sent to Cambridge University, I will reproduce it here in this article. After years of silence and abuse by powerful people I have decided to speak out. From published newspaper articles and personnel experience, I want all my readers to know that the Malaysian government denys scholarships for non-Muslim students to study at Cambridge or Oxford Universities. Only Muslims are allowed to study at those universities. It is an unwritten law among the Muslims. This is the reason I am publishing this paper on my blog. The letters below from University Malaya was sent to me much later. How did I arrive at these formulae for Pythagoras Theorem? 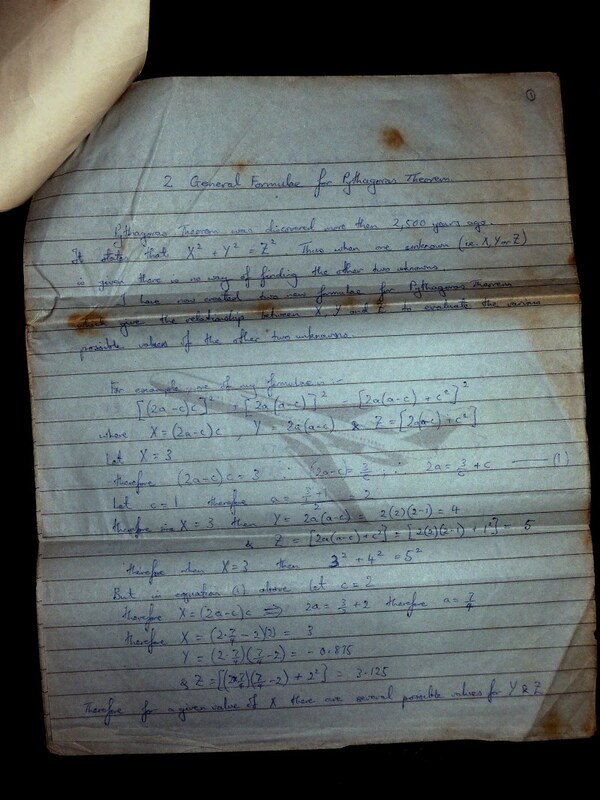 Actually I was trying to solve Fermat's Last Theorem. 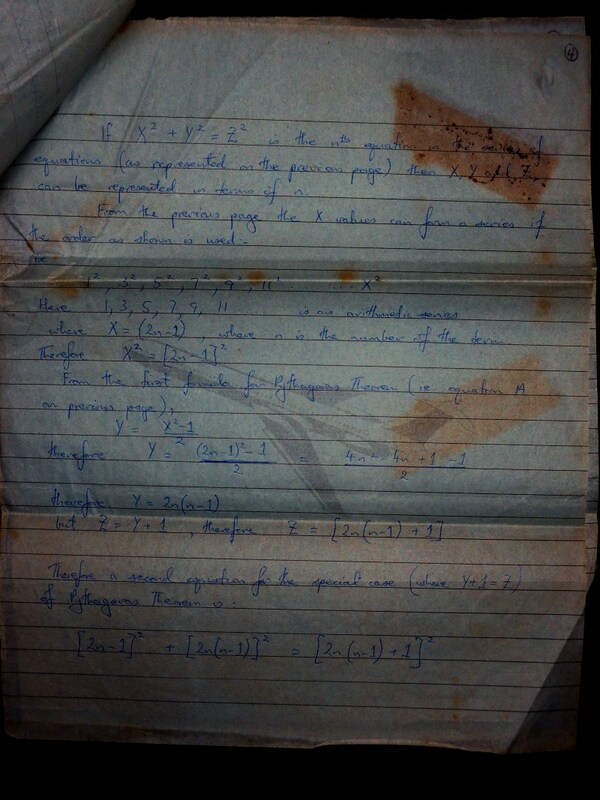 As I played around with the numbers and looked at how numbers behaved I discoverd the formulae for Pythagoras Theorem. 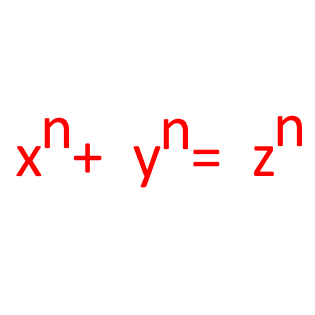 for any integer value of n greater than 2. 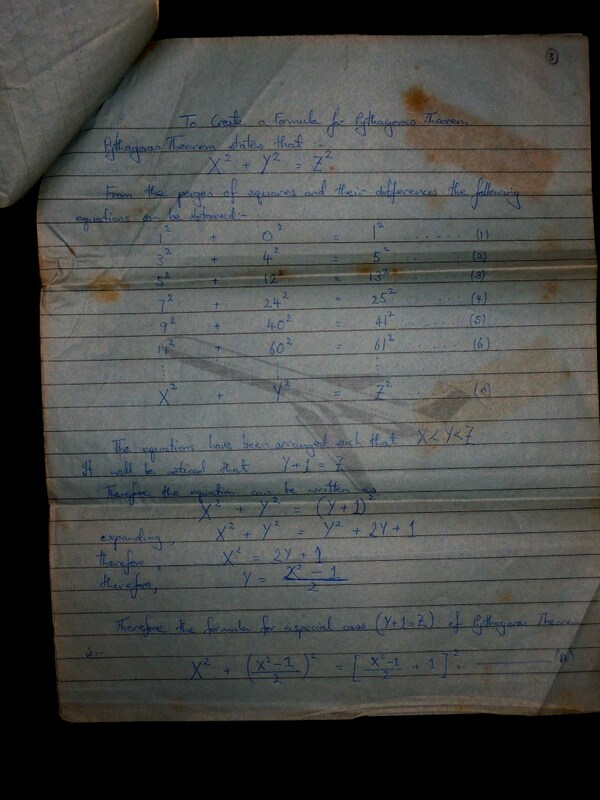 The cases n = 1 and n = 2 have been known to have infinitely many solutions since antiquity"
I have take photographs of the original letter sent to University Malaya and have shown them here below.